In his latest blog post, Alan Robertson makes a bold move by building a Neo4j – a schemaless graph database – schema server for his Assimilation Monitoring Project which is a comprehensive monitoring of systems and services for networks of potentially unlimited size. 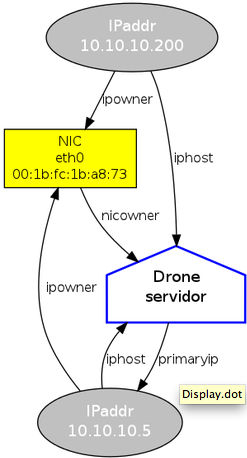 For the schema, Robertson outlines the basic entities: Servers, NICs and IP addresses which indexes of servers names, MAC addresses and IP addresses. The power in using a graph is the ability to define the relationships between the various entities such as NIC owner, IP Owner, IP Host and Primary IP. Read the full article.